When people think decking, they think about a composite deck or a wood deck — not the two mixed together. But, it is possible to use both materials to build a deck, and there are some good reasons why you may want to do so. Let’s look at mixing composite and pressure treated lumber, why you may want to do it, and what you’ll need to know to make sure that your mixed-lumber deck remodel goes smoothly. One of the biggest reasons to mix materials in a deck remodel or a new deck construction project is to save money. 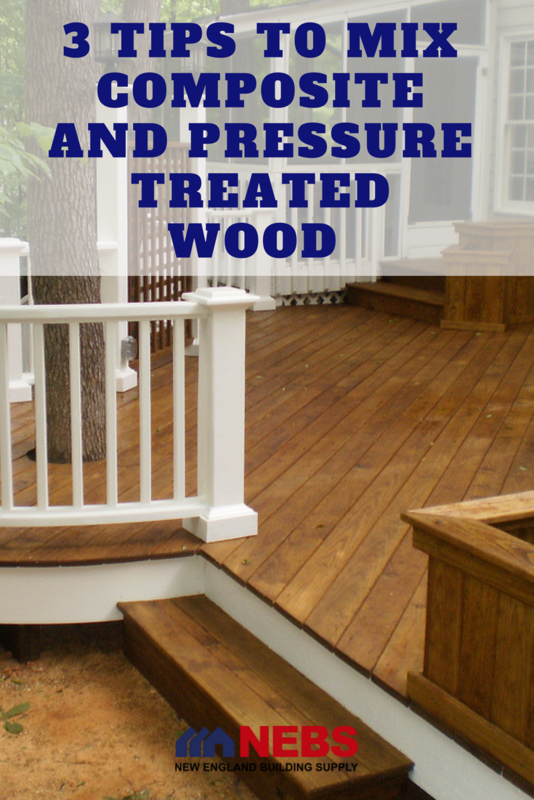 Pressure treated lumber is usually less expensive than PVC deck materials. If you can use wood for things like uprights and other supports that will be hidden from view, then the total cost of your project will go down. Another reason to mix materials is to reduce maintenance needs. Things like wood handrails and wood decking boards need regular maintenance and finishing to prevent splinters. Since composite deck materials are weather resistant and splinter-free, using these products on surfaces that will come in contact with hands and feet reduces the need to keep up with sanding and finishing as the deck ages. If you’re doing a deck remodel, particularly if your wood deck has been painted and you’re tired of repainting it yearly, then a mixed composite deck is a good way to reduce or eliminate the need for yearly repainting. Simply choose a composite material in a matching or complementary color and replace as many visible boards as possible so that next year, you won’t have much (or possibly any) painting to do. Eco-friendliness is the reason why some people choose a mix of composite and wood decking. Some composites are infused with plastics, so homeowners that are concerned about plastics in the environment often choose to go with wood or at the very least, they will use as many wood components as possible to reduce their reliance on plastics. There are three major things to think about when replacing parts of a wood deck with composite. The first thing to consider is the overall appearance of the deck. When you’re mixing materials, you’ll end up mixing finishes, too. The finished product will be a two-tone deck, but if you plan well, that isn’t necessarily a bad thing. Choose a color that is complementary to both your home and the existing wood so that the finished deck has a cohesive look. The second thing to consider is which parts of the deck you’ll replace. Because composite is weather resistant, maintenance free and not prone to splintering, you’ll likely replace decking boards and handrailing at the very least. But, it doesn’t have to end there. You could also consider replacing elements like fascia and stairs, either just the top surface of each step or a more complete overhaul, in which you replace wood surfaces, risers and trim boards with composite. No matter what you choose to replace, you’ll likely keep wood where it is mostly hidden: upright supports, joists beneath the deck and so on. 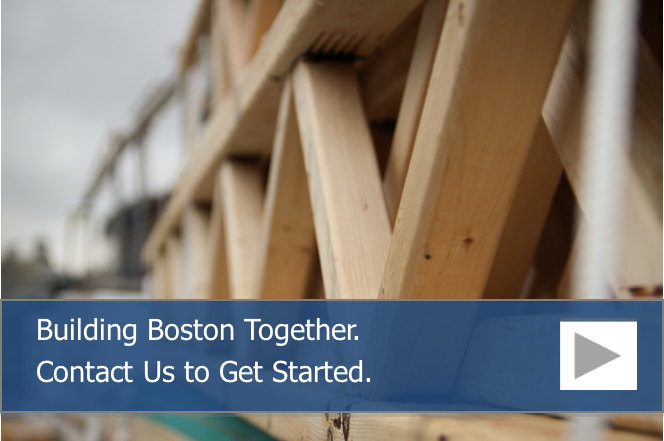 Finally, make sure that you use the correct fasteners for your deck remodel. Wood decks are often largely nailed together, but if you plan to use composite, make sure that you use screws designed for the composite material that you’ve chosen. 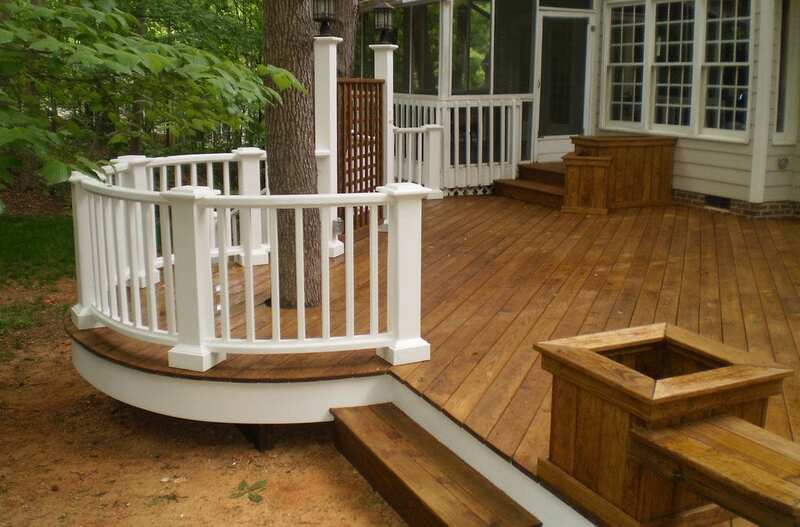 If you’re going with PVC deck materials, then you may also want to use a specially formulated PVC glue in conjunction with your fasteners just to make sure that the deck holds up to the elements and the expansion and contraction that comes with weather changes. Mixing materials can be done during a deck remodel and there are lots of good reasons to consider it. Just keep an eye on colors, finish choices and the sections that you plan to replace so that the final color scheme pulls together beautifully.